1.The perfect gift of the children. 2.Includes a multicolored flashing sequence, a color-changing sequence, a single-color slow flashing sequence. 3.3 Bright Color Changing LEDS: Red, Blue, Green. 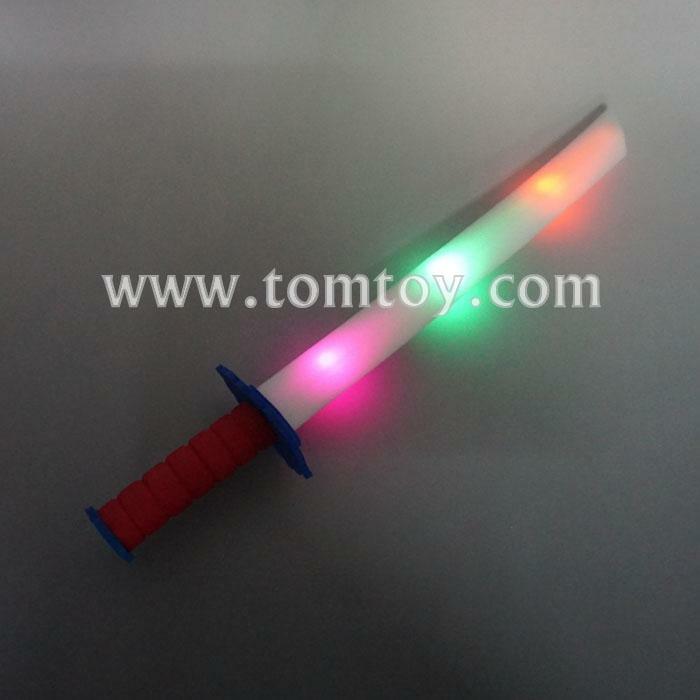 5.Guests will love these 16" inch long light up multicolor foam sword.